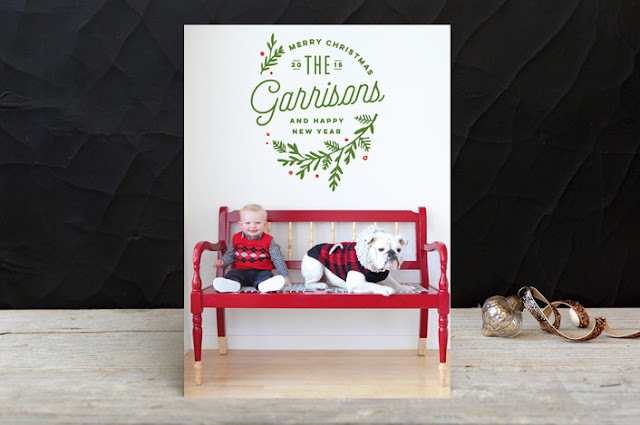 It's that time of year again - time to start planning your holiday cards. I am happy to be bringing you a great giveaway to help you get started. Minted is giving away a $250 credit to one lucky reader! I am a longtime fan of Minted. Their Holiday Cards are by far my favorite. 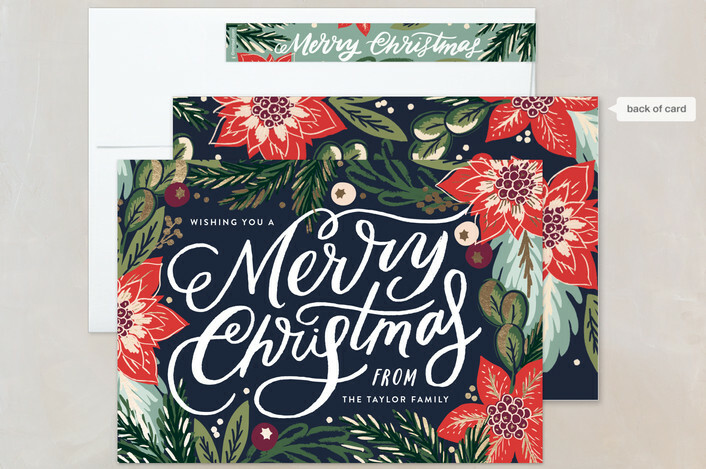 They offer so many design options, including a completely custom option that let's you submit your own artwork and turn it into your Holiday card. How fun is that?! The image below is an example. 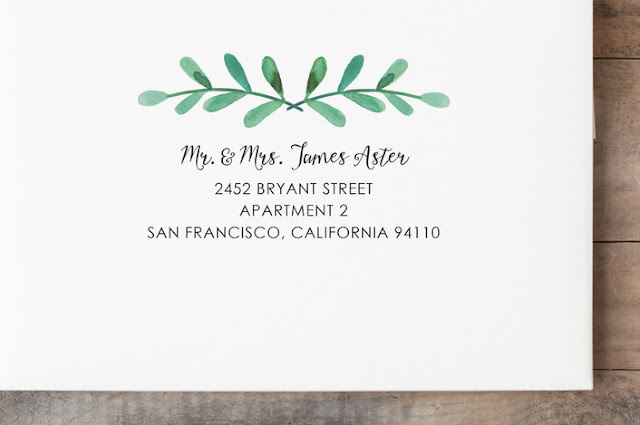 I also love the option of adding an patterned envelope liner and a return address label wrapper. Look how pretty these cards looks all assembled! Also, did you know that Minted will address your envelopes for free?! 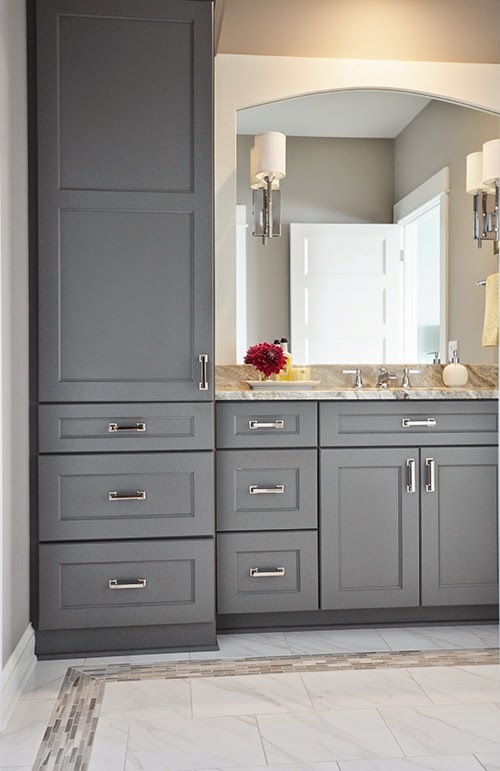 Huge time saver and the many designs you can choose from are so pretty! 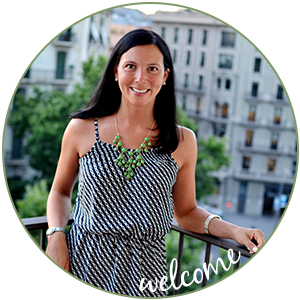 Another thing I love about Minted? 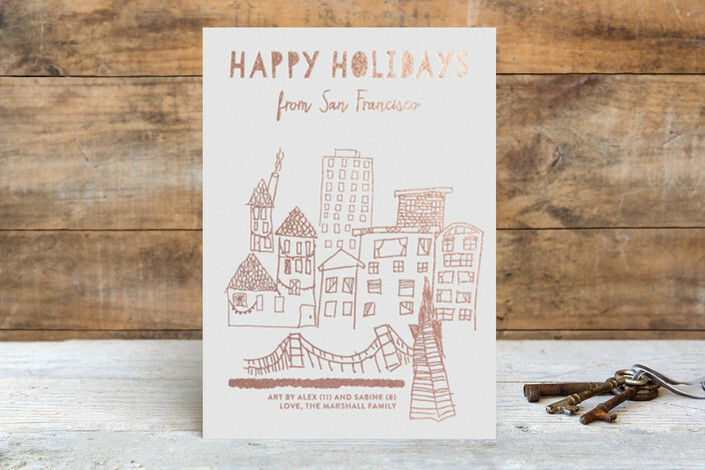 The huge selection of non-photo Holiday cards. Don't get me wrong, I love receiving photo cards, but for me, the non-photo cards are perfect and I always have a hard time deciding which design to go with because the options are endless! I also love that Minted offers Custom Wrapping Paper. So cool (and really pretty)! 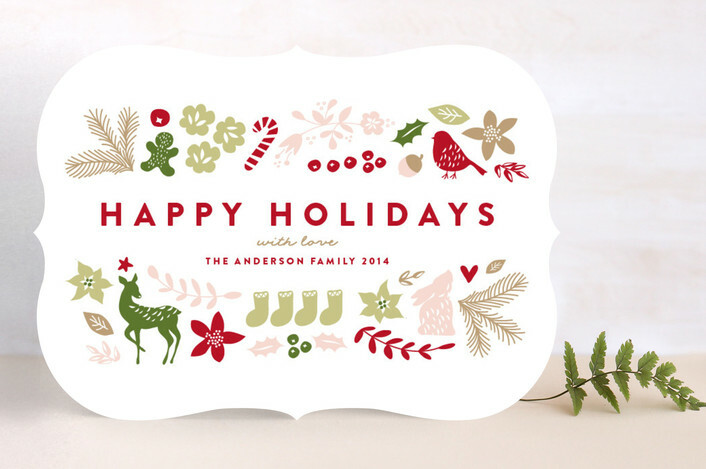 Visit Minted and pick out your favorite Holiday Card design. Come back here and leave a comment telling me the name of your favorite design. That's it! Giveaway will remain open until Monday, November 23rd. I'll pick a winner by random and post the winner here. Please leave your email address in your comment so I can contact you if you are the winner. i love the san francisco one you showed here. for me, i'd pick flurries b/c it's just seasonal, not religious. thanks! I like the textured pine postcards! Thanks! I'm in love with the Joy Emboss card. It's perfect for a few photos we just took. I think I've finally found our holiday card! 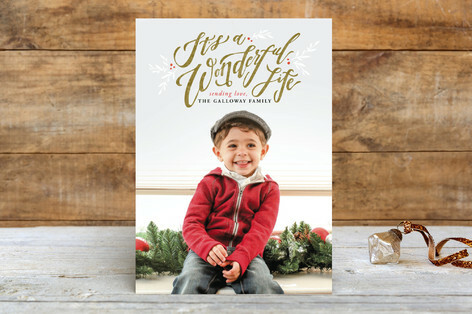 Lots of great choices, but I would have to say my favorite is the "Rich In Joy" holiday photo cards. 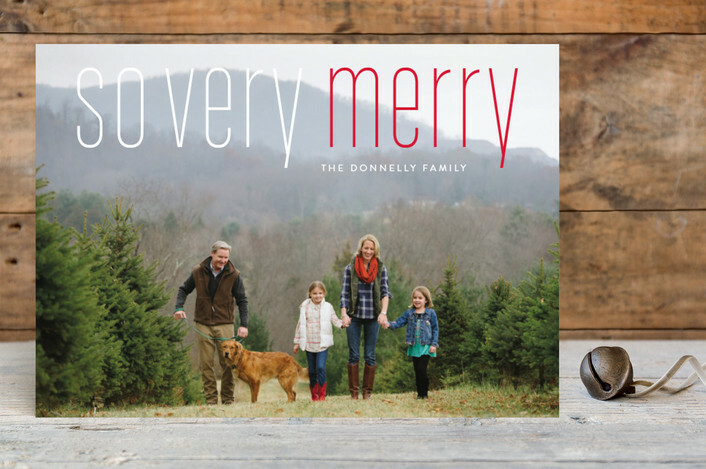 I love Woodberry Forest, which I would customize to read "Merry Everything" and include photos of my kids on the inside. Beautiful stuff! Any of the ones with gold foil are my favorite! But I also especially love the retro worded tree design. I'm a sucker for hand lettering! pretty much impossible to pick but i love 'winter botanicals holiday card' ....it comes in lots of colors but the latte color is so lovely. i also am in love with the fact that minted will print the addresses on the envelopes with pretty designs too! they are just the best. thanks so much! My favorite card is the Winter Botanicals card. I love the pop of colors on there. They have a great variety that it makes it almost hard to find just one you love! I've been thinking I wanted to try Minted this year. The card I choose always depends on the picture, but after looking at all of the great choices, Christmas Love and Fa La La La were two that caught my eye. Thanks Alissa! So many options! 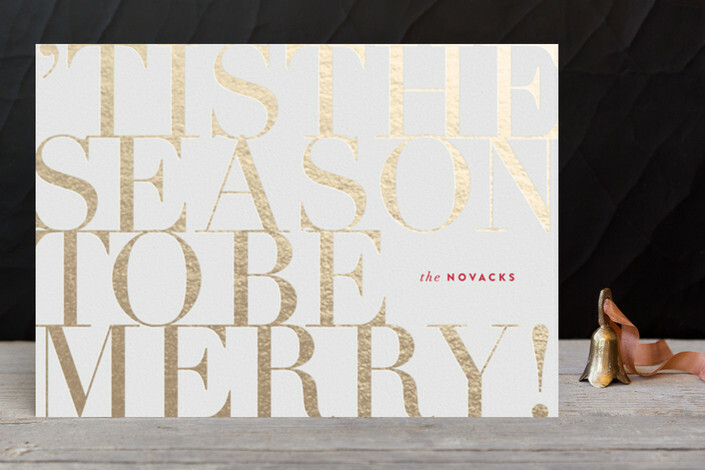 I'm partial to the Botanicals Holiday Card myself. I like the Stylish and Merry design. I love this one! wjabkowski@gmail.com "complete tree foil-pressed holiday cards"
I love minted! And I always have a hard time choosing from their beautiful cards. I really like the painted foliage or the metallic gold frame card. I love the "Retro Worded Tree"
I love Petite Tree. I've not seen anything like this for showcasing photos. I love Stylish and Merry! 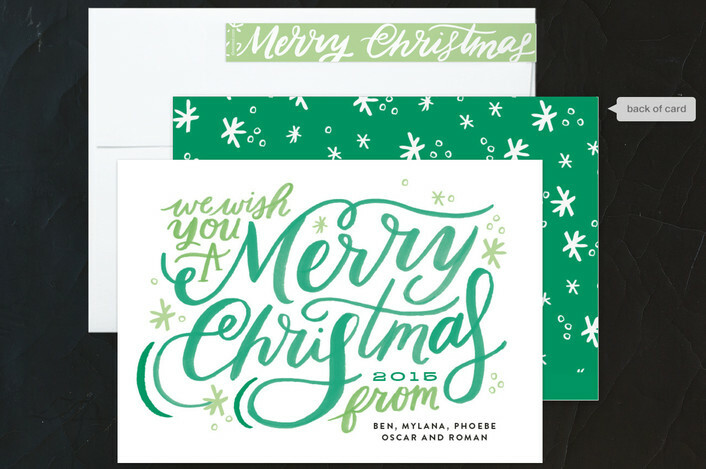 Minted always has the best designs. I love Merry Shimmer! Love Minted! I love the Winter Botanical cards. Such a great pop of color on the green. I love the new custom cards they have and the letterpress ones are always so nice! 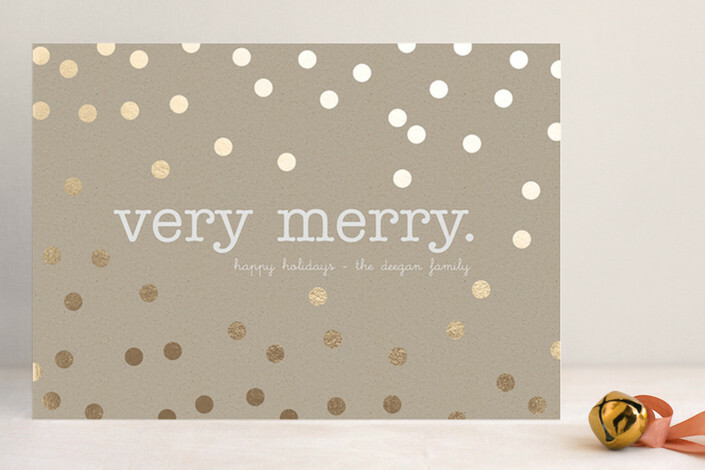 I love the simplicity of the "Much Joy" card so pretty! 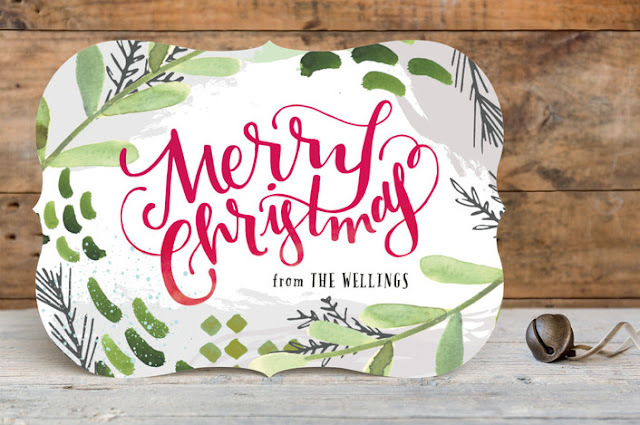 I love the Retro Worded Tree design! Adorable! I'm digging the Sophisticated Snow card! The textured pine is my favorite. I also like the foil ones. Love the gold! They are all so gorgeous! I think I'd pick the "Stylish and Merry" one! Thanks for the great giveaway! I love the foil joy one! The "merriest wishes" one is my favorite. 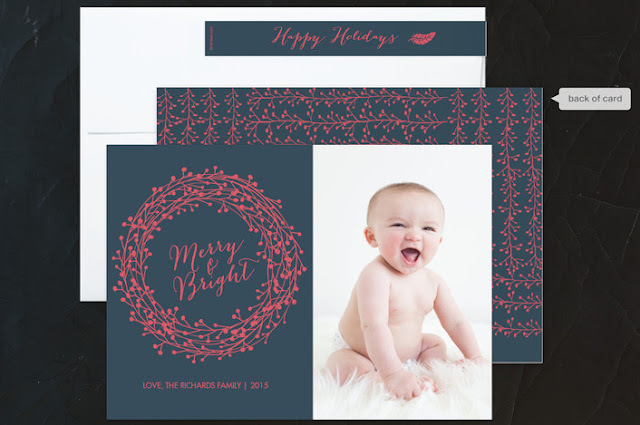 I would choose "Simple Elegance" with the dark blue border as it would be perfect for our family photo this year! I love the It's a Wonderful Life card. Beautiful! The foul version of Winter Botanical in either red or tan is my favorite this year!